1. Tell us about the season so far? Are you satisfied with the team and the amount of points you have gained? We have certainly had a very mixed start to the season. Our opening day defeat to West Brom was a worry as it seemed our renowned bad form from the previous season was going to continue. However, we went five games unbeaten prior to the international break but now a further two defeats have brought us back to square one. I’d have happily taken eleventh-place after nine games but we need to start earning points again soon as the bottom of the table looks very tight and we cannot afford to be caught up in the relegation battle this season. 2. What has been the talking points around the club so far this season? Alan Pardew very boldly urged us to play “more like Barcelona” in a press-conference in pre-season which drew a few laughs. Although not quite in the same mould as the Spanish giants, our change in style has been the most notable difference this season. We have been passing the ball much better and the long, aimless kicks forward praying that a forward will flick it onto either Wilfried Zaha or the now-departed Yannick Bolasie has thankfully been abolished. We bought very well in the transfer window, vitally improving last season’s leaky defence with the shrewd signing of Steve Mandanda and the capture of James Tomkins from West Ham. Andros Townsend also gives us a different option out wide and will naturally score more goals than the likes of Zaha. 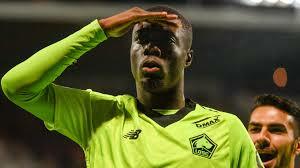 We also signed two strikers, one’s a bloke called Christian Benteke who you may or may not have heard of, while Loic Remy signed on a season-long loan from Chelsea but picked up a long-term injury within two days – such is our luck. There honestly hasn’t been much to talk about from the playing side this season. as previously mentioned, we have had a mixed start to the season but we expect to finish in mid-table. We encountered one piece of bad news earlier in the season with Pape Souare being involved in a very bad car accident that left him with severe, career-threatening injuries. He’s now on the long road back to recovery but it was an awful shame because he was finding some good form prior to the incident and I’m sure you will join us in wishing him a very speedy recovery. 3. What are your expectations on the team this season? It’s imperative that we kick on from last season’s disappointing finish and aim to finish mid-table. Having spent around £50 million in the summer, it’s important that we begin to regularly compete with the likes of Stoke, Southampton and Everton for the places between ninth to twelfth. However, the drastic spending from other clubs who are usually further down the table means the competition for mid-table is going to be even tougher this season. It would also be nice to go on another cup run if it doesn’t affect our league form like it did last season. Overall, anything below 15th this season would be a disappointment given how much we strengthened in the summer. 4. You signed Christian Benteke from us this summer, how has he fitted into the team? The Belgian’s been a revelation. We have lacked a true goalscorer since our promotion and he seems to be someone who can score 20 goals a season if provided the necessary service. He’s already bagged three times this campaign and each has been an important goal. his hold-up play is superb and, generally, he’s a much better striker than any that I’ve ever seen grace the Selhurst Park turf. We have had to adapt our playing style slightly to fit him in which I don’t think was afforded to him at Liverpool but we have certainly reaped the benefits. He loses a mark for having not scored a home goal yet but I wouldn’t put it past him to bag his first goal at Selhurst on Saturday as I can image he probably feels like he has a point to prove. 5. Tell us a bit about the way you play, what are your strengths and weaknesses? We are stereotyped as a very direct and physical side but I’d like to think we have a bit more about us than just that. 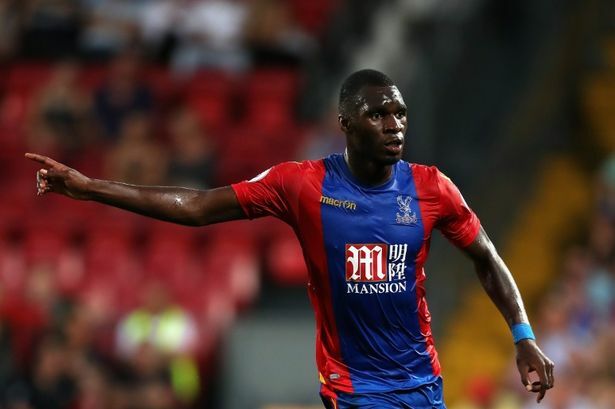 As I previously mentioned, we have adapted slightly to fit Benteke in which has meant more crosses and generally moving the ball forward much quicker so that he can hold it up and bring the likes of Yohan Cabaye, Jason Puncheon or either wide player into play. We have also had much more possession than we did last season, especially now that we have Tomkins instead of Damien Delaney; the latter known for his aimless long passes. Mandanda and the two central defenders – Tomkins and Scott Dann – love playing the ball out from the back but I expect them to be more cautious against your high-pressing system. The French goalkeeper almost cost us a goal within a minute of last week’s game against Leicester by passing straight to Shinji Okazaki, only for the Japanese striker to loft his shot over the bar. I expect us to pass a little more direct and between your defensive lines to try to counter your pressing. Our wide players have always been our biggest strength but the addition of Benteke means that the spine of our team is now very strong. We make the most of set-pieces; Cabaye, Puncheon and Townsend are all adept at delivering from a range of different positions while Dann, Tomkins and Benteke can all attack a good cross to excellent effect. Zaha has been our best player and he will certainly test our former academy product, Nathaniel Clyne, on the left. Talking of former academy players, former Liverpool man Martin Kelly has been our weak link recently. Souare’s horrifying car accident left the Eagles without a recognised left-back and Kelly has come in and has flattered to deceive. His performances have almost left some Palace fans feeling sorry for him as he is clearly uncomfortable on the left side of the back four and hopefully Pardew has realised this and will swap him with the technically better Joel Ward, with Kelly moving to right-back. 6. What are your thoughts on Liverpool and Klopp, do you think we can compete for the champions league-spots? I’ve always had a soft spot for Liverpool due to my Dad’s side being from Merseyside and all supporting the Reds. One of my first football memories is watching Steven Gerrard lift the European Cup in 2005 and, god forbid, you’ll be back there soon. I admire Jurgen Klopp. He’s from a clique of coaches who are very adaptable and innovative, comparable to a very early Arsene Wenger in the way that he was not afraid to bring fresh footballing ideas to a country that needs change but cannot fathom the idea of anything other than big, physical players yet still regards itself as the best league in the world. Klopp, and now Guardiola, are tactically revolutionising the way we play football in England and more teams are now playing a similar style to Liverpool. I also like his attitude towards coaching. Football, particularly in England, is a very results-based business and long-term thinking is held aside too often, but not with Klopp. The German has often commented about his preference in coaching his players, rather than buying replacements for his less talented individuals, which is an attitude that should be applauded but simply – and unfairly – isn’t purely because we are confused by that sort of approach in England as we are unfamiliar with it. Champions League qualification should be a minimum expectation at Anfield, particular after the way the Premier League has shaped up this season. Nobody expected Manchester United to be as poor as they currently are and Jose Mourinho’s side have vast catching up to do, meaning Liverpool have a clear head-start on them. Some pundits have even predicted Klopp’s side to be in with a chance of the title but that may be a year or two too early, although elite European qualification is certainly achievable for a side who I enjoy watching. Usch får dåliga vibbar när jag tänker på att vi ska möta Benteke. Han gör alltid en bra match mot oss! Sam verkar vara en skön kille, fick det intrycket när jag läste texten! Har som vanligt en dålig känska när vi möter CP..